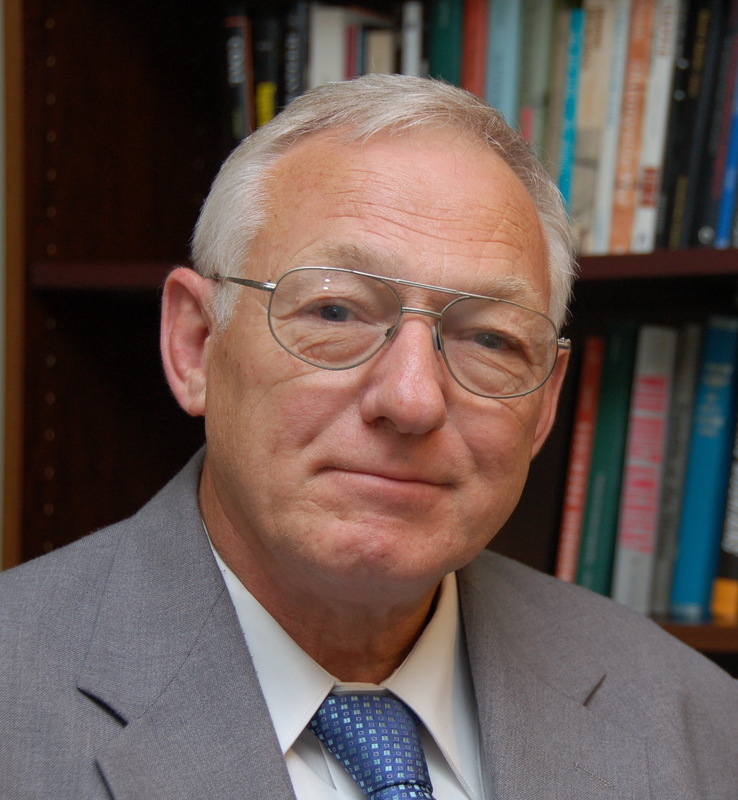 February 5, 2013 by Ken Ward Jr.
Robert F. “Bob” Gates Jr., a noted West Virginia filmmaker who focused on the impacts of mining on coalfield residents and the environment, died Saturday at the age of 69. Gates helped found the West Virginia Filmmakers Guild. 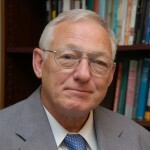 He also was a member of various environmental groups over the years, including the West Virginia Highlands Conservancy. A day after Pittston Coal’s sludge dams collapsed at the head of Buffalo Creek on Feb. 26, 1972, Gates visited the 17-mile-long hollow in Logan County. Gates took scores of photographs — on the ground and in the air — documenting the devastation created by the flooded river, which killed 125 people and left thousands homeless. He later released a DVD featuring many of the photographs he took. 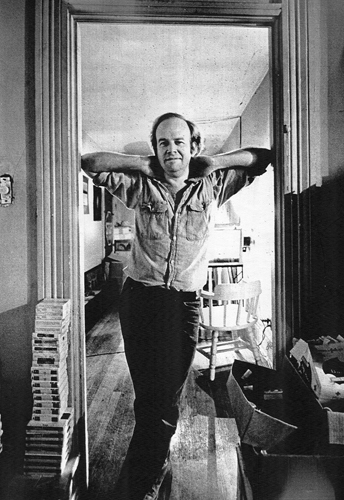 In 1977, Gates released his first film, “In Memory of the Land and People” — about the environmental damages caused by strip mining in Appalachia and other areas of the country. The music of composer Béla Bartók, local songs and comments from local people are featured throughout the film. Gates died on Groundhog Day, after having hosted many Groundhog Day parties at his home in Charleston over the years, Moorhead said. Funeral arrangements were incomplete Monday. Terri Marion, a friend of Gates’ family, said there would be a memorial celebration later this month at the Empty Glass Café, on Elizabeth Street, to celebrate Gates’ life and films, which will be shown during the event. A date has not been determined, she said. January 2, 2013 by Ken Ward Jr. 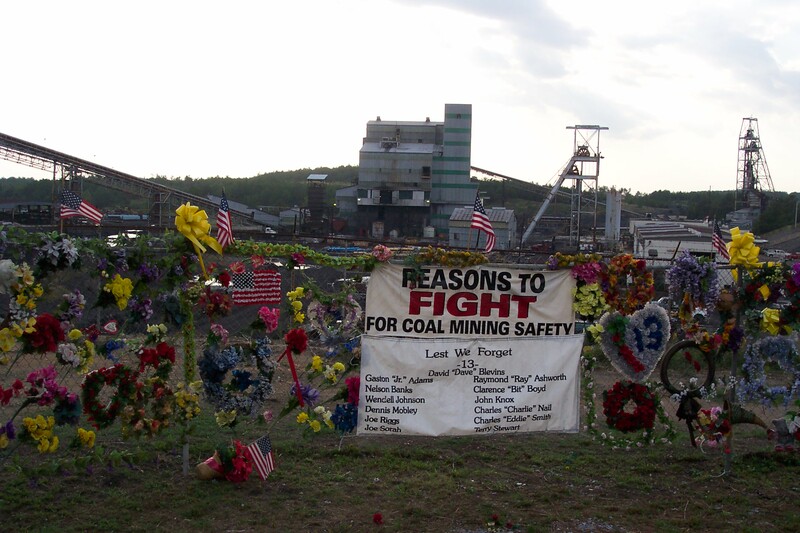 It was 7 years ago this morning that an explosion ripped through International Coal Group’s Sago Mine in Upshur County, W.Va. Twelve miners died and another barely got out alive. November 20, 2012 by Ken Ward Jr.
At approximately 5:30 a.m. on Wednesday, November 20, 1968, an explosion occurred in the Consol No.9 Mine, Mountaineer Coal Company, Division of Consolidation Coal Company, Farmington, Marion County, West Virginia. 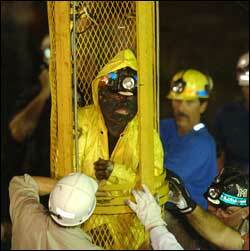 There were 99 miners in the mine when the explosion occurred, 78 of whom died as a result of the explosion. The other 21 miners survived the explosion and escaped to the surface; seven miners working in A Face Section, four miners working near the slope bottom, and two miners working near the Athas Shaft (areas not affected by the explosion) escaped unassisted to the surface. Eight miners working near the newly constructed Mahan Shaft when the explosion occurred were rescued via the shaft by a mobile crane equipped with a steel cable and a bucket large enough to accommodate three miners. All of the eight miners were on the surface by 10:40 a.m. of the same day. The forces of the explosion extended throughout the west side of the mine inby Plum Run overcast which included nine active working sections. Generally, the ventilating controls, such as stoppings, overcasts, and regulators inby the Plum Run overcast, were damaged or completely destroyed. The Nos. 3 and 4 fans (Mods Run and Llewellyn) ventilating the west side of the mine, the hoisting equipment in and above the Llewellyn Shaft, and part of the combination lamp house, bathhouse, and supply house located near the Llewellyn Shaft on the surface were also destroyed. Mine fires along with several additional major and minor underground explosions interfered with and eventually prevented rescue and recovery efforts. The mine was sealed at its surface openings on November 30, 1968. In September 1969, the mine was reopened and operations to recover the remains of the 78 miners were begun and continued until April 1978. Damage to the mine in the explosion area was extensive, requiring loading of rock falls, replacement of ventilation and transportation facilities, and in some cases new mine entries to bypass extensively caved areas. Investigative activities were continued, in cooperation with the Company, State, and United Mine Workers of America (UMW A) organizations, as mine areas were recovered. Between 1969 and 1978, the bodies of 59 victims were recovered and brought to the surface. Recovery operations ceased and all entrances to the mine were permanently sealed in November 1978, leaving 19 victims buried in the mine and leaving some areas of the mine unexplored. Farmington and its aftermath led to the passage by Congress of the 1969 federal Coal Mine Safety and Health Act. Read more about Farmington here, here, here and here. And if you haven’t yet, check out my friend Bonnie Stewart’s great book, No. 9. October 2, 2012 by Ken Ward Jr.
Word just in today that a federal judge in Washington, D.C., has ruled against the Sierra Club and other groups in their efforts to have Blair Mountain returned to the National Register of Historic Places. 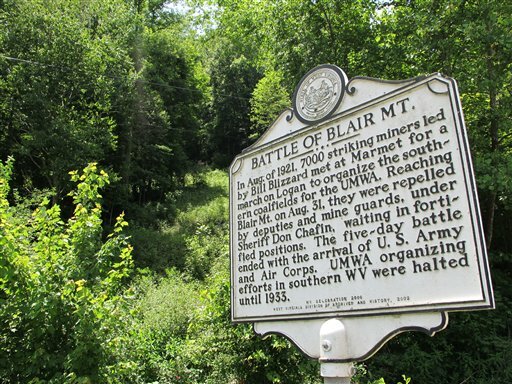 It is likely, therefore, that surface mining would be permitted on the Blair Mountain Battlefield as a result of permits that were acquired prior to the historic district’s inclusion on the National Register. An order from this Court restoring the Blair Mountain Battlefield to the National Register, therefore, will not prevent mining from occurring should the coal mining companies who own existing permits choose to exercise their rights afforded by the permits. The Court having only a limited ability to redress the plaintiffs’ asserted injuries, the plaintiffs have failed to meet their burden under the final prong of the standing inquiry. 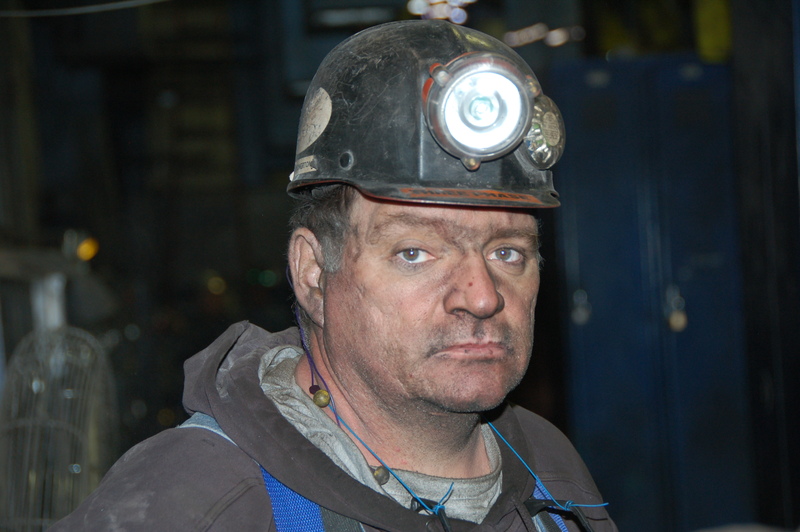 September 3, 2012 by Ken Ward Jr.
Phil Smith at the United Mine Workers of America was kind enough to share this photograph he took recently of a union miner at the Cliffs Natural Resources Pinnacle Mine in Wyoming County. Read about the history of the holiday from the U.S. Department of Labor or Wikipedia, and read a collection of great journalism on worker safety put together by ProPublica. August 6, 2012 by Ken Ward Jr.
Five years ago today, the first in a series of coal-mine “bumps” occurred at Murray Energy’s Crandall Canyon Mine out in Utah. Before the disaster was over, six miners and three would-be rescue workers were dead. Drive up the road to the Crandall Canyon Mine and you’ll see abandoned buildings, silent conveyors and the gaping, dark portal that leads to the tomb of six good men. Then walk up the winding path to nine black stone monuments — six markers for the men who died first, and three benches for those killed while trying to find them. Many of the families who lost their husbands, fathers and sons have left Utah’s coal country, but some remain. For those, the country’s social fabric, and the all people who live and work there, remain a comfort. Last week, I stopped at another monument to the miners near the Huntington Cemetery. It’s a curving wall with a panel of bas-reliefs of their faces, sculpted by Karen Templeton and cast in now-patinated bronze. I’d seen it before, but this time I felt a shock — they seemed to be looking right into my eyes. For an instant, I caught a glimpse of the good men who will always live in memory in coal country and far beyond. Ten years ago this week, nine Pennsylvania coal miners nearly died when the mine where they worked accidentally drilled into a nearby mine tunnel filled with water, flooding their own operation and setting off a furious rescue effort that ended successfully when the miners were all pulled to safety in that bright yellow capsule. 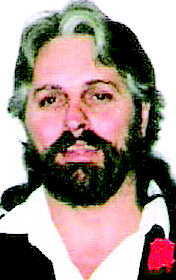 Harry Mayhugh was operating a coal scoop at Quecreek Mine the morning of July 24, 2002, when he heard a “huge” noise. Fourteen men were working in the mine that morning when a wall of cold water rushed in from an adjacent, abandoned mine. Five of the crew – Barry Carlson, Douglas Custer, Dave and Ryan Petree, and Lawrence Summerville – ran for their lives. They were the lucky ones. Nine others – Foy, Mayhugh, Randy Fogle, John Unger, John Phillippi, Dennis Hall, Robert Pugh Jr., Mark Popernack and Ron Hileman – could not escape the tide of 72 million gallons of water, powerful enough to sweep away tons of equipment that blocked escape routes. In my 32 years with MSHA, I have not always seen a mine emergency end so positively. I was proud of my counterparts within MSHA and Pennsylvania’s Department of Environmental Protection, as well as the local first responders, Enlow Fork’s mine rescue team, the U.S. Navy and volunteers with the Red Cross and Salvation Army. Everyone pulled together, prayed together and, ultimately, celebrated together. In recent years, the mining industry has been marked by tragedy more than celebration. Not a day goes by that I am not reminded of the critical role MSHA and mine operators play in maintaining a safe and healthy work environment. 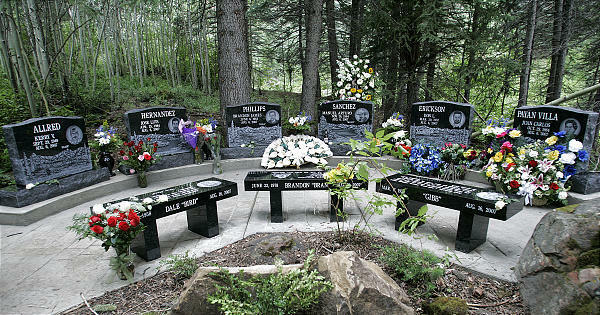 Following the Upper Big Branch Mine disaster in April 2010 that claimed the lives of 29 miners, MSHA instituted a program targeting mines with the most troubling compliance records. Since then, we have carried out 452 targeted “impact” inspections and issued 8,949 violations. These efforts are paying off. Overall compliance is improving at mines after we inspect them. Violations per inspection hour are down 13 percent after mines receive an impact inspection, significant and substantial violation rates are down 21 percent, and actions requiring miners be withdrawn from a mine are down 43 percent. Improvements are also occurring in the industry as a whole. In 2011, MSHA inspected about 14,170 mines and issued 157,613 citations and orders. This number is down from 2010, when MSHA issued 170,909 citations and orders. We’ve also made significant progress in mine rescue response and our command and control capabilities. In the 10 years since the Quecreek rescue, technology has advanced in amazing ways. MSHA now has a robot that can explore underground areas that may be too dangerous for rescuers. Our new command center vehicle will soon be equipped with a smart board system that enables personnel on the surface to communicate in real time with rescue teams as they travel underground. MSHA is touting its participation in this week’s commemoration ceremonies up in Pennsylvania, including the ribbon cutting at a new visitor center. There are numerous media availabilities. 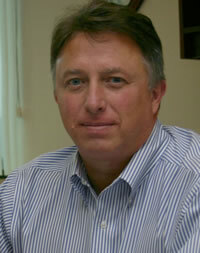 It’s also worth noting that Quecreek made a hero out of then-MSHA chief Dave Lauriski (below, helping then-Pa. Gov. 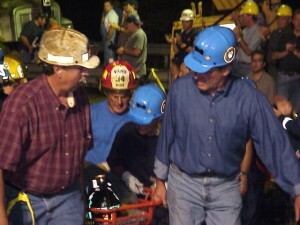 Mark Schweiker carry one of the rescued miners). As I wrote in a piece for The Washington Monthly, Lauriski was at the time under fire for actions that appeared — rightly so, it turned out — to be the start of a Bush administration effort to back off tough safety and health enforcement in the coal industry. But Quecreek made him a hero, and media scrutiny and congressional investigations went away — until the Sago Mine in West Virginia blew up on Jan. 2, 2006. 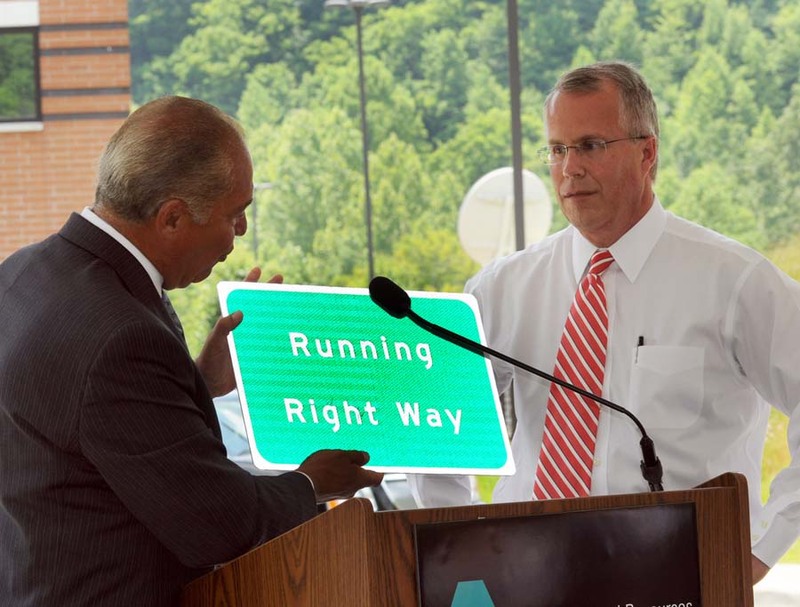 We know now that Lauriski, then-Labor Secretary Elaine Chao and the Bush administration gutted MSHA, setting the stage for the disasters that followed, not only at Sago, but at Aracoma, Kentucky Darby, Crandall Canyon and Upper Big Branch. Not only did they slash MSHA’s budget and staff, but they pushed their “compliance assistance,” industry-friendly approach to enforcement, something that independent reviewers have pinpointed as a major cause of the deaths that followed Quecreek. More specifically, maybe the media will ask current MSHA chief Joe Main why he hasn’t followed up on a rule change that he argued was absolutely necessary after Quecreek. The primary cause of the water inundation was the use of anundated and uncertified mine map of the Harrison No. 2 mine thatdid not show the complete and final mine workings. Using thismap led to an inaccurate depiction of the Harrison No. 2 mineworkings on the Quecreek #1 mine map required by the Mine Safetyand Health Administration and on the certified mine map submittedto the State of Pennsylvania during the permitting process. The root cause of the accident was the unavailability of a certifiedfinal mine map for Harrison No. 2 mine in the State ofPennsylvania’s mine map repository. This led to much of the focus after Quecreek being on improving the availability and accuracy of mine maps. But MSHA critics and mine safety advocates argued at the time that the real answer was for federal officials to strengthen their regulations on test drilling of adjacent areas during underground mining. Among the most vocal of these MSHA critics at the time? That’s right, Joe Main, who was then the chief safety and health officer of the United Mine Workers union. Joe Main, safety director for the United Mine Workers union, criticized MSHA’s decision to focus on mine map accuracy at Tuesday’s symposium. “Mapping is a diversion,” Main said. He said that the real issue is the need for MSHA to strengthen its regulations on test drilling of adjacent areas during underground mining. On July 31, three days after the Quecreek rescue, Main wrote to Lauriski to urge such an action. MSHA has never replied. Currently, MSHA rules require test drilling of adjacent areas whenever an active mine is within 200 feet of where a map shows an abandoned mine to be located. In 1996, when Davitt McAteer was in charge of MSHA, he rewrote those rules to require drilling of both sides of advancing mine work areas, instead of just one side. Main and the UMWA advocated for more, asking that the distance drilling was required be extended to 500 feet. MSHA refused. And it was certainly no surprise that Lauriski and the Bush administration did nothing about this recommendation. … There is one thing we’ve known all along, and that doesn’t change: Mine disasters are preventable, and miners deserve to return home to their loved ones after every shift. February 24, 2012 by Ken Ward Jr.
Forty years ago Sunday morning, a trio of coal-waste dams at a Pittston Coal operation on Buffalo Creek in Logan County collapsed. A wall of sludge, water, and debris stormed down the hollow from Saunders to Man. By the time the Feb. 26, 1972, flood was over, 125 people had been killed. Another 1,100 were injured, and about 4,000 were left homeless. Today, hundreds of coal-waste dams still loom over Appalachian communities. Coalfield residents often worry it could all happen again. Industry officials and most regulators say it won’t. They point to tougher laws, stronger engineering standards and better construction practices put in place after the Buffalo Creek Disaster. Other experts acknowledge serious improvements over the last four decades. Buffalo Creek spurred Congress to pass the federal Surface Mining Control and Reclamation Act. Lawmakers also added new dam-safety duties to the work of the federal Mine Safety and Health Administration when they rewrote coal-mine safety rules. But coal-slurry impoundments remain a constant target for citizen concerns, and for the environmental community’s growing efforts to crack down on the coal industry generally and mountaintop removal specifically. And some experts say there are reasons to be worried. “We’ve come a long way since Buffalo Creek,” said longtime mine inspector Jack Spadaro, who investigated the disaster for a special gubernatorial commission. The thing that disgusted me was that people in the valley had been saying for years there was a problem there. They’d been evacuated many times before because of the fear of a dam failure. A woman named Pearl Woodrum wrote a letter to the governor, I think it was dated February 1968, four years before the flood. Pearl Woodrum was saying to the governor that there was a dam at the head of Buffalo Creek that was unsafe and that if it failed, it would kill all the people in the valley. She said, ‘If you don’t do something, we’re all going to be washed away,’ and that’s what happened. It was a prophecy. The head of the Public Service Commission had a copy of her letter and didn’t do anything. The U.S. Geological Survey and the Department of Natural Resources had been repeatedly asked to look at it. There was this letter to the governor that was passed on down through the layers of government, and nowhere along the way did anyone take any kind of decisive action. There were other people in the valley, I don’t remember their names, who complained regularly. They went to a Mr. 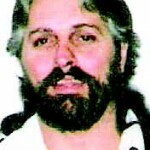 Oval Damron, who was prosecutor in the county at the time, but he didn’t take any action. He knew about the problem, but he didn’t take any action. During the four years between ’68 and ’72, there had been plenty of attention placed on the potential hazards of the dam collapsing and no one from the government took any decisive action, even though there was some law on the books that should have protected those people. I remember Jack telling me that one of the lessons he learned was to “listen to the people,” and I’ve tried to remember that as I’ve continued my career as a reporter. Unfortunately, even in my lifetime, there have been multiple disasters where it was clear warnings were raised, but nobody in any position of power listened. That goes for the Sago Mine Disaster, where scientists pointed to the possibility of a lightning strike causing a coal-mine explosion, to Upper Big Branch, where workers tried to tell Massey mine managers that the operation was a disaster waiting to happen. February 9, 2012 by Ken Ward Jr.
Arch spokeswoman Kim Link dismissed the concerns that mining activity is imminent. What’s going on at Blair Mountain? February 8, 2012 by Ken Ward Jr. Residents of Blair, West Virginia have noticed increased activity from mining company Arch Coal around the historic Blair Mountain Battlefield site. Members of the town have become more and more concerned about Arch’s activities and fear they are moving forward with plans to mine the Blair Battlefield site. There have been reports of proposed buy outs of resident’s property, increasing industrial activity in the area and other preparations indicative of a move towards mining operations on the battlefield itself. Blair Mountain is the site of the largest civil insurrection in American history since the Civil War. In 1921 more than 10,000 coal miners fought forces backed by mining interests in an attempt to organize unions in Logan and Mingo County. It’s interesting … because nearly a dozen people I’ve talked to today — including some with close ties to the Sierra Club and other environmental groups — have told me when I asked that they don’t really know what’s going on. Even local folks who are watching developments very closely aren’t sure that the increased activity is any indication that strip-mining of the site is imminent. (One even told me it’s possible that the movement is in preparation for planned longwall mining underground). There’s been a huge amount of activity in Blair, with equipment and logging trucks. It does look like Arch is going to be doing something. 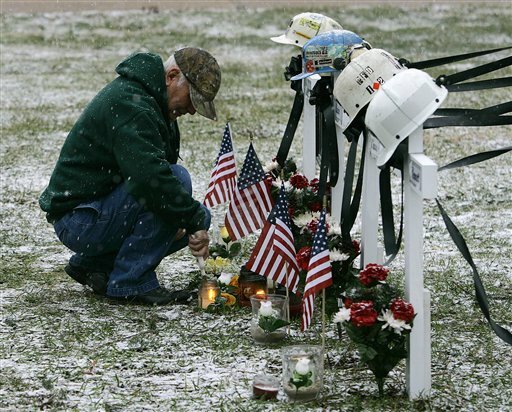 My thoughts today are with the families of Don Bragg and Elvis Hatfield, the two coal miners who died six years ago in that terrible fire at Massey Energy’s Aracoma Alma No. 1 Mine in Logan County, W.Va.
As I wrote a year ago on this date, readers will recall that Massey Energy’s Aracoma Coal Co. pleaded guilty to criminal mine safety violations that led to their deaths, and paid a record $2.5 million in criminal fines and $1.7 million in civil penalties. Five Massey foreman also pleaded guilty to criminal charges, but none of them went to jail. But the U.S. Department of Justice and then-U.S. Attorney Chuck Miller agreed to a plea deal with Aracoma Coal in which the government agreed not to prosecute any employees or officers of the corporate parent, Massey Energy. This deal drew much criticism from the widows of Mr. Bragg and Mr. Hatfield. 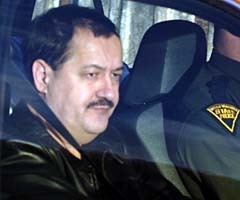 Prosecutors said they had no evidence of any criminal wrongdoing by Massey or its officers or employees, but lawyers for the families wondered about a key memo that indicated then-Massey CEO Don Blankenship knew about the poor condition of the conveyor belts at Aracoma and knew mine officials were not accurately reporting those conditions on mine safety reports. What will come of this new criminal investigation? Will prosecutors bring charges against a few mid-level foremen, or will they find and try to punish wrongdoing by anyone further up the corporate ladder? Over the last few months, we’ve seen a flurry of action on Upper Big Branch. 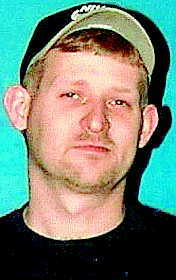 In late October, the mine’s longtime security director, Hughie Elbert Stover, was convicted of two felonies, with a jury finding that he lied to investigators and tried to destroy evidence about Massey’s habit of warning underground workers of impending safety inspections — a practice that federal inspectors say played a major role in the April 5, 2010, disaster. 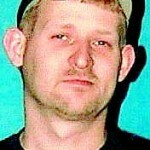 Stover faces up to 25 years in prison. Already, a former Massey miner had pleaded guilty to faking foreman’s credentials while he spent almost two years performing safety inspections for the company at Upper Big Branch. While there’s no direct evidence the actions of Thomas Harrah played any role in the disaster, U.S. District Judge Irene Berger sentenced Harrah to 10 months in prison. Then in December, as the U.S. Mine Safety and Health Administration was preparing to issue the report of its investigation into Upper Big Branch, U.S. Attorney Booth Goodwin announced that his office had reached a landmark deal with Alpha Natural Resources, which bought Massey last June. Alpha would agree to spend tens of millions of dollars on mine safety improvements, and Goodwin would agree not to bring any criminal charges against the company. And just last week, the remaining families of the Upper Big Branch miners settled their wrongful death cases, agreeing to a deal through with Alpha will pay them undisclosed amounts of money to resolve those cases and allow the company to, essentially, turn the page on the disaster it inherited from Massey CEO Don Blankenship. Compensation is one thing, but justice is another. Based on what happened at this mine, there is not going to be justice until some people are indicted and some people go to jail. Will more people go to jail? Well, we know that the Alpha-Justice Department deal does not include language to protect any individual officers, agents or employees of Massey from prosecution … and U.S. Attorney Goodwin has said his office has uncovered other crimes for which the appropriate individuals have not yet been charged. The question is — will Goodwin and his staff find a way to bring charges against these individuals and to make those charges stick? A more cynical person that I might also ask if higher-ranking officials at the Justice Department, with Goodwin’s Alpha deal already in their pockets, think it’s time to move on and pressure Goodwin to just drop it? West Virginia political leaders certainly don’t have the stomach for much more talk about 29 coal miners getting blow up … Every chance they get, our local elected officials encourage us all to forget about the bad old days of Massey, and focus on the new leadership at Alpha (the “new ownership in Southern West Virginia“, as my friend Rep. Nick Rahall likes to say), forgetting about Alpha’s willingness to keep some top Massey managers on board — and about the fact that Alpha CEO Kevin Crutchfield can’t seem to bring himself to say publicly that UBB could have easily have been prevented and wasn’t any sort of Act of God. It takes a congressman from California — ranking Democrat on the Labor Committee, George Miller — to bother to ask Crutchfield about any of this. Sadly, aggressive prosecution against upper management in the Aracoma case might have spared us the horror of UBB. We’ll never know, of course. But we certainly hope that the lesson of making deals with the devil has been learned, that the criminal investigation makes its way into the boardroom as well as the guard shack, and that Alpha chooses a different path than its predecessor. 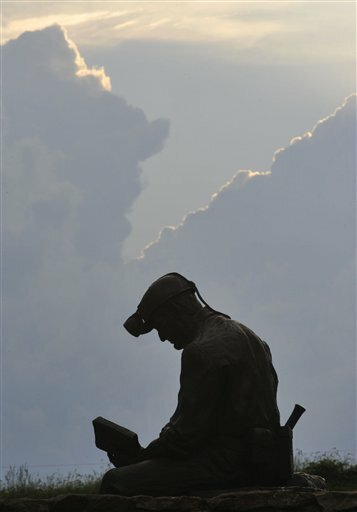 Forty-three years ago yesterday, 78 miners were killed in an explosion at Consolidation Coal Co.’s No. 9 Mine in Farmington, W.Va.
That morning, an explosion at the Consol Number 9 Mine just outside of Farmington, only allowed 21 of the 99 miners inside to escape. “They’re heroes. These 78 men are truly heroes in the working miners’ eyes today. 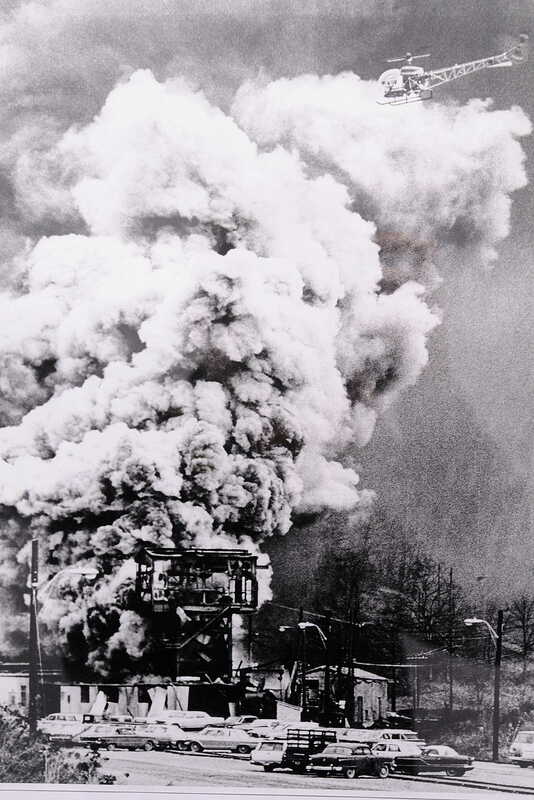 After this explosion, the Coal Mine Health and Safety Act was passed in 1969, which literally saved thousands and thousands of lives,” said Mike Caputo, the international vice president of UMWA District 31. On Sunday, family and friends gathered at the site where 19 of those who died that day still remain. The annual service has become a reunion, and a reminder to families that the sacrifice they made will never be forgotten. “The reason why I’m here, is in honor of my dad’s memory. It’s because of him and the other 77 miners that everybody is safe to go to work and being comfortable with it now,” said Sharon Clelland, who’s father was killed in the explosion. For the first time since the services began at the mine site, all of Sharon’s brothers and sisters were there to stand proudly with their mother. “He has a cloud of glory. His face is so full of smiles now. He’d be so happy that we’re still together as a family. Family meant everything to Dad, and to know that we’re still as close today, as we were when we were little is just awesome,” beamed Clelland. If you haven’t yet, check out my friend Bonnie Stewart’s book, No. 9, which chronicles the disaster and its aftermath. October 31, 2011 by Ken Ward Jr.
On November 1st, a variety of citizens are coming together to raise awareness of the Battle of Blair Mountain and to call on our state agencies and politicians to preserve the Blair Mountain battlefield and develop it as the significant national historic site that it truly is. In 1921, ten thousand coalminers joined together to fight for their basic human rights to live and work in safe conditions. They fought for five days on the steep ridges of Blair Mountain until finally federal troops quelled the conflict peacefully. Currently, Blair Mountain is threatened by imminent destruction from MTR, an extremely destructive form of coal extraction. A broad range of citizens including community members, union coalminers, environmentalists, academics, and many other people have been working to preserve the battlefield. We have already taken constructive steps to show that heritage tourism is profitable, with the establishment of Coal Country Tours that features Blair Mountain as a stop along a multi-day tour through the coalfields. We have also established a Community Center and Museum in the town of Blair, WV, to celebrate the struggles of coalminers at Blair Mountain as well as larger coalfield culture. We will continue to build local business around the Blair Mountain battlefield, and to continue to honor the heritage of coal mining families. With this press conference and rally at the State Historic Preservation office at the Cultural Center, we are asking our state government to step up and help us preserve and develop Blair Mountain. We realize it is a difficult political decision due to pressure from the coal industry, but is it one that will preserve a piece of heritage for future generations as well as building local business now. We believe that with all of us working together we can come up with a viable solution where the jobs of coalminers are protected, new and diverse business opportunities are generated in the communities around the battlefield and coal companies can still underground mine the battlefield. Come join us on November 1, 2011, at 12:00 as we discuss the importance of Blair Mountain and present a petition with over 26,000 signatures from people around the world to the West Virginia State Historic Preservation Officer. Speakers will include noted scholars, mining families, activists, and community members. All are welcome to attend. A makeshift memorial, with flowers and a sign, covered the fence outside the Jim Walter Resources No. 5 Mine in Brookwood, Ala., when I visited the area five years ago. 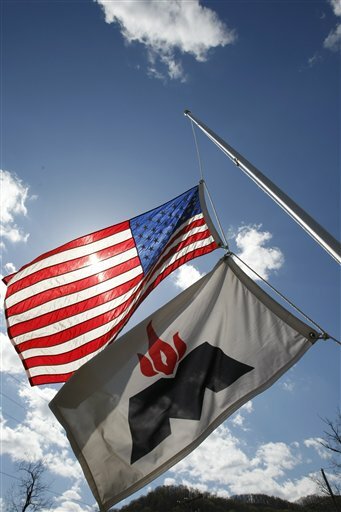 Today marks the 10-year anniversary of the series of explosions that killed 13 coal miners at the Jim Walter Resources No. 5 Mine in Bookwood, Ala.
On Dec. 11, 2002, MSHA issued its report. It cited Jim Walter Resources for 27 violations, including eight major violations that the agency said contributed to the deadly disaster. U.S. Secretary of Labor Elaine Chao sought $435,000 in civil fines from the company. Jim Walter Resources appealed the penalty. MSHA Administrative Law Judge David F. Barbour took testimony over 24 days. On Nov. 1, 2005, Barbour ruled. He reduced the fine to $3,000 after dismissing six of the major violations against Jim Walter Resources and modifying the other two. August 5, 2011 by Ken Ward Jr.
On the heels of last week’s demand for an investigation of what the United Mine Workers alleges are misleading coal exhibits at the West Virginia State Museum, citizen groups have now sued the state Department of Environmental Protection over its refusal to consider “lands unsuitable for mining” protections for historic Blair Mountain in Logan County. Several groups that couldn’t convince state regulators to declare Logan County’s Blair Mountain unsuitable for mining are taking their case to Kanawha Circuit Court. In a complaint Thursday, they asked the court to force the state Department of Environmental Protection to accept their June petition and hold a hearing. A significant portion of the lands identified in your petition has been affected in the past and continued to be affected by oil and gas and logging operations. These activities have great potential to adversely affect the historic integrity of the lands you have identified. A declaration that the lands you have identified are unsuitable for mining would not effectively protect the historic integrity of these lands because it would have no effect on oil and gas and logging operations. Because I am rejecting your petition as frivolous, no other findings are being made with respect to it. Since the 1991 petitions were submitted, a number of new and significant facts have come to light. The exact area for which we had requested unsuitability status is ‘eligible for listing’ on the National Register of historic places, and multiple professionalarchaeological and historical surveys have been completed, which led to the discovery of 15 previously unknown battle sites at Blair Mountain. For DEP to dismiss the entire petition because some minor portion of the petition boundary might be ineligible due to prior permitting ignores the value and eligibility of the other 70% of the Battlefield. DEP’s response is an affront to the very intent of the Surface Mine Act, which provides a mechanism to protect important historical sites like Blair Mountain. In related news, a federal judge in Washington, D.C., has denied a request from the Department of Interior to transfer a case challenging the removal of Blair Mountain from the National Register of Historic Places to a federal court in West Virginia. U.S. District Judge Reggie B. Walton noted the “national significance” of the issue. I’ve posted a copy of the ruling here. Over the past months, several members of the UMWA staff have visited the West Virginia State Museum on many separate occasions. I have been to the museum myself, and seen the displays there. I have a number of very serious concerns with what is an inaccurate portrayal of the UMWA and our history of oppression and struggle against the coal operators of the 19th and 20th centuries. — The ‘Company Store’ including the discussion of the system of using mine company scrip instead of U.S. legal tender to pay miners. Your presentation makes it seem as if the scrip system was little different from a credit card, where miners and their families could pay of expensive purchases over time. Nowhere is it stated that miners had absolutely no choice as to whether they used scrip or not. Nowhere is it mentioned that going somewhere else instead of the company store to purchase goods and equipment was an offense frequently punishable by a beating from the company’s Baldwin-Felts thugs followed by dismissal from employment and eviction from the company house. — ‘Coal Mining’ includes misleading statements regarding Island Creek Coal and the UMWA organizing, as well as a very small presentation regarding the worst industrial disaster in United States history — the explosion at the Monongah Mine — that includes language regarding the company’s Christmas ‘gift’ to the families of those killed that is offensive to the memories of the fallen miners. — ‘The Battle of Blair Mountain,’ which blames Sid Hatfield for instigating the violence in the coalfields that led to that battle, instead of focusing on the daily violence inflicted on coal miners and their families in the coal camps of the day. Indeed, in just about every instance where the UMWA is mentioned in the museum, we are linked with violence or some other unsavory activity. 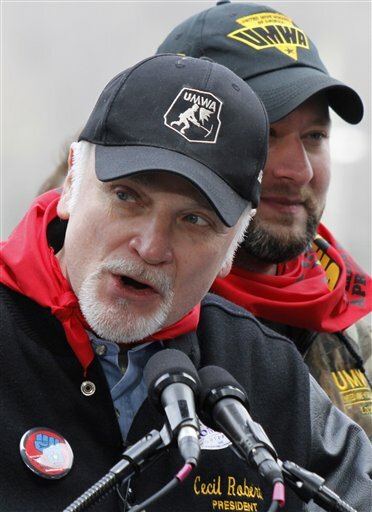 There is no mention of the millions of West Virginians who have, over the past 60 + years, received or continue to receive the benefits of UMWA pensions and retiree health care — considerably easing their senior years — which were negotiated by the UMWA. There is no mention of the UMWA’s leading role in passing mine safety and health legislation which have saved countless lives in West Virginia and throughout the nation. There is no mention of the UMWA’s role in fighting to end black lung and to establish and then protect black lung compensation. July 7, 2011 by Ken Ward Jr.
Update: The Gazette’s Dr. Paul Nyden has a full story on this development in today’s paper. It’s online here. 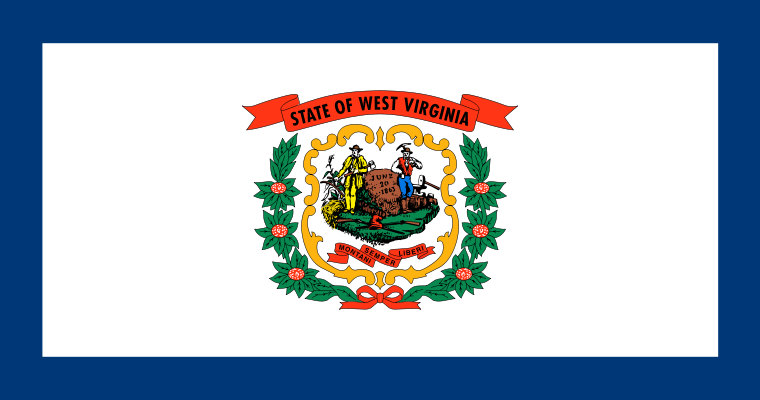 This just in: The West Virginia Department of Environmental Protection has responded to the petition filed in early June seeking to protect Blair Mountain by having the area declared “unsuitable for mining” under the strip-mining law. WVDEP’s answer to the petition filed by the Sierra Club, along with labor and historic preservation groups? That’s right, in this three-page letter to Derek Teaney at the Appalachian Center for the Economy and the Environment, from Tom Clarke, director of the WVDEP Division of Mining and Reclamation. 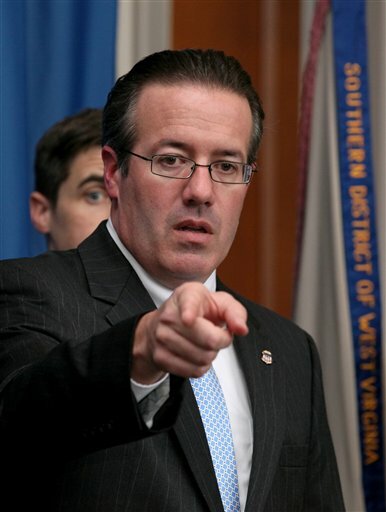 So, as far as WVDEP is concerned … that’s the end of the story. June 20, 2011 by Ken Ward Jr.
June 13, 2011 by Ken Ward Jr.
Alpha Natural Resources Inc. of Abingdon, Va., said it doesn’t intend to conduct mountain-top removal in the historic battleground area, but acquired one active operation outside the 1,600-acre boundary when it bought Massey Energy. June 8, 2011 by Ken Ward Jr. 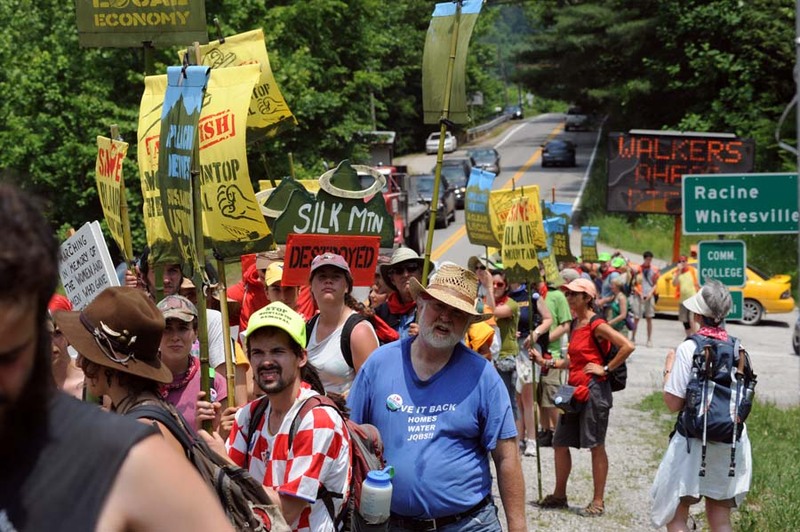 The Blair Mountain marchers entered their third day today on their trek through Boone and Logan counties, and apparently their effort has run into some problems — and some not-so unexpected opposition to their cause. They originally planned to spend Monday night at John Slack Park in Racine, but Boone County Sheriff Rodney Miller told the marchers Monday evening they had to leave the site. … The marchers ended up walking about 15 miles Tuesday, from Racine to a small park near the intersection of W.Va. 3 and Corridor G, just north of Danville. They stopped briefly at about 2 p.m. outside the grounds of the Boone Career and Technical Center, part of Southern West Virginia Community and Technical College near the town of Foster. They originally planned to spend Tuesday night on the school’s grounds, but were told by college officials they could not do that. Rodney Smith, an administrator at the college, said on Tuesday he did not know why the marchers were told they could not stay. “But we don’t have much grass. Big Earl’s Campground [about five miles north, near Julian] volunteered to let them stay there,” Smith said. But Stanley said the marchers were told they could not stay there either, and they would have to take shuttles back to Marmet to spend another night there Tuesday. Monday night around 10 oclock the County Commissioner of Boone came to the park to order us to leave the park, overriding prior verbal permission and said that if the Marchers did not leave the park all marchers would be arrested. A small group of vocal counter-protesters added tension to the situation. Police worked with the marchers to evacuate John Slack Park safely. We decided to leave because we aren’t marching to take a stand at this park, or confront the Boone County Commissioner; we’re here to March on Blair Mountain, confront coal industry power, and demand preservation of Blair Mountain, it’s history, and end MTR.